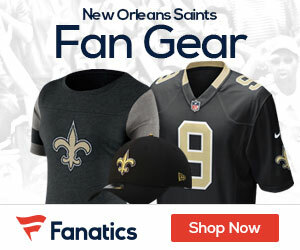 New Orleans Saints fans wanted it…and NFL Films and Warner Home Video have delivered it! It was a year to remember in the Big Easy as the New Orleans Saints brought home the franchise’s first-ever NFL championship. 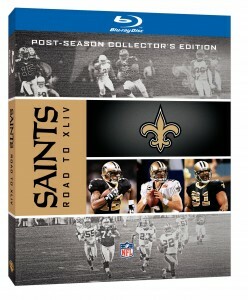 Now, Warner Home Video (WHV), the National Football League (NFL) and NFL Films are teaming up to give some of the NFL’s most loyal fans a commemorative gift featuring memorable games on the road to championship glory with the release of the Road to Super Bowl XLIV: New Orleans Saints DVD. Black and gold supporters will race to stores on June 1, 2010 when the DVD hits shelves for $39.92 SRP and on Blu-ray™ for 49.95 SRP. The 2009 season was one to be savored in Bayou country. Over the course of the year the Saints captured the imagination of an entire nation and their story became etched into the fabric of NFL history. 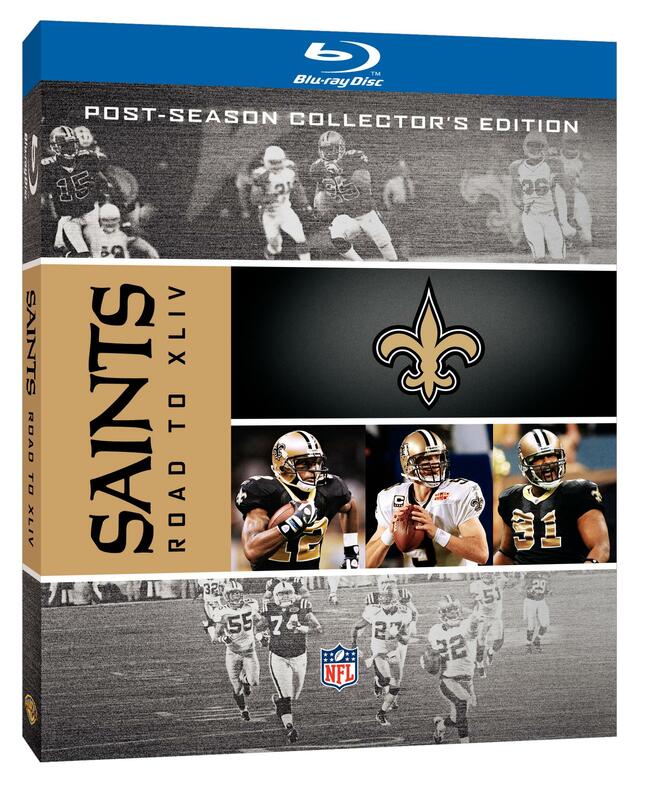 The Road to Super Bowl XLIV: New Orleans Saints DVD features the original network broadcasts of four memorable victories of the 2009 season: their Week 13 comeback victory over the Washington Redskins, playoff victories over the Arizona Cardinals and Minnesota Vikings, and finally their breathtaking win over the Indianapolis Colts in Super Bowl XLIV. Against the Redskins in Week 13, the Saints displayed their classic resiliency in one of their most exciting games of the year. Wide receiver Robert Meachem stripped Redskins defender Kareem Moore and scampered for a game-tying touchdown after Moore had picked off quarterback Drew Brees. That play swung the momentum in the Saints’ favor and they would go on to an incredible 33-30 overtime victory to stay undefeated. After losing their final three regular season games, the critics were questioning whether the #1-seeded Saints were truly for real. Led by Brees, running back Reggie Bush and a swarming defense the Saints came out and silenced their doubters by trouncing the defending NFC Champion Arizona Cardinals 45-14 at home. Next up the Saints would take on the Minnesota Vikings and their high-powered offense led by ageless-wonder Brett Favre and perennial Pro Bowl selection Adrian Peterson. In a turnover-plagued game the Vikings were the last to blink as Favre was picked off by cornerback Tracy Porter at the end of regulation to force overtime. The Saints won the toss and kicker Garrett Hartley kicked the Saints into their first Super Bowl in franchise history. Super Bowl XLIV turned out to be one for the ages as the Saints triumphed over the favored Indianapolis Colts. Coach Sean Payton’s gutsy on-side kick call at the beginning of the second half swung the momentum in the Saints’ favor, and MVP Brees led the offense to two second half touchdowns. A late interception returned for a touchdown by Porter locked up the win and the Saints would go on to capture the first championship in the 43-year franchise history.